How did you find Touched by Twilight? 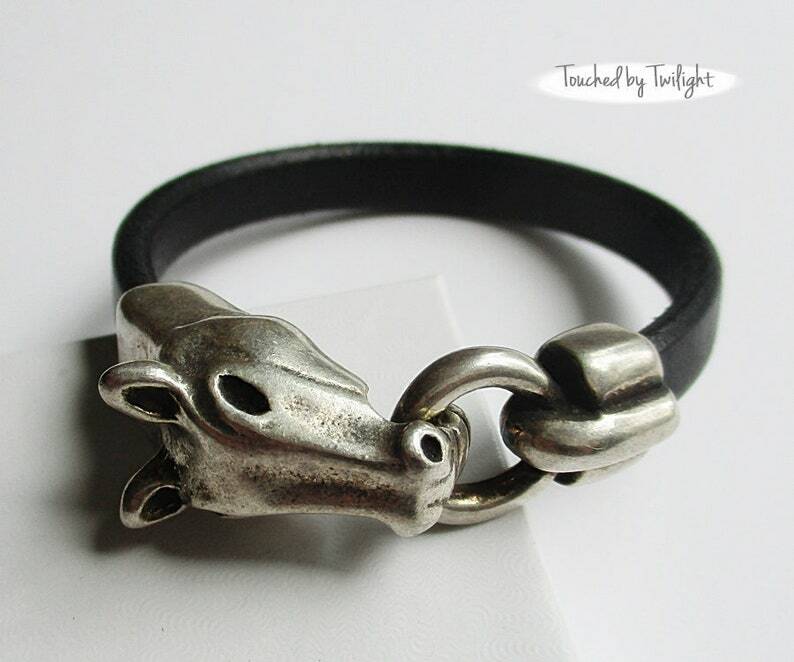 This simple, yet elegant, bracelet is handcrafted from genuine black Regaliz leather with an antique silver horse head clasp. 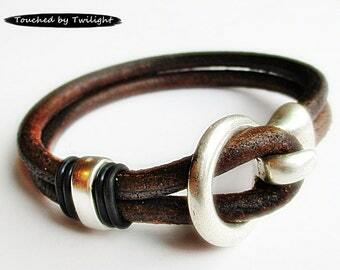 SIZING: The size of this bracelet is the inside diameter measured when closed. The size you should order will depend on your wrist size (generally measured just above the wrist bone, add 1/4" for comfort) as well as your personal preference in fit. When measuring for this particular bracelet, keep in mind that the horse head clasp is fairly heavy and a SNUG FIT works best to keep the horse clasp from ending up on the inside of your wrist. The snug fit is also necessary to keep the clasp's hook closure secure. Please select your size carefully. While I will always accept a return (in the same condition as it was shipped to you) due to incorrect sizing, you will be responsible for the cost of returning it to me. Because I know that selecting a bracelet size without trying it on is a difficult task, as a courtesy, I will cover the cost of sending the new bracelet size to you (one time only). If you do not see the size you need or if it's sold out, please contact me and I'll make one for you . . .